Something to look forward to: In the near 24 years it has been around, the PlayStation has proved to be a very popular console. Since releasing the very first machine in Japan way back in 1994, over 500 million units have been sold. A milestone the company is celebrating by releasing a limited edition version of the PS4 Pro. 525.3 million sales is certainly an impressive feat, which is why Sony is releasing this distinctive machine. 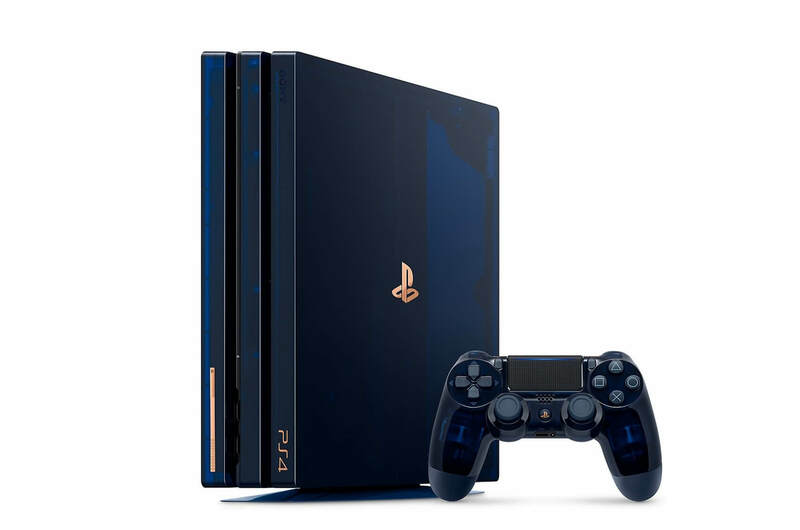 It features a translucent dark blue case with copper accents, and comes with a matching DualShock 500 Million Limited Edition controller, which also has a blue casing that shows off its internals. For those not looking to buy a new PS4 Pro, the controller can be bought separately. The console itself comes with a spacious 2TB hard drive, and you also get a vertical stand for displaying it upright, a mono headset, and a PlayStation Camera. A Gold Wireless Headset 500 Million Limited Edition is also being sold separately. There will be 50,000 limited edition PS4 Pros available, and each one comes with a bronze plaque showing its number. Back in April, Sony revealed that it had sold 76 million PlayStations 4s and that the console was set to surpass the PS3’s lifetime sales later this year. Unsurprisingly, the 500 Million Limited Edition PS4 Pro doesn’t come cheap. At $499, it’s $100 more expensive than a regular PlayStation 4 Pro, though it does look awesome and the hard drive is double the size. It will be available online from August 24th and in stores starting early September.